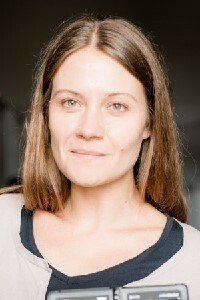 Dr Magdalena Wróblewska is art historian, a specialist of modern art and culture, with special focus on museology and photography’s history and theory. She obtained her PhD degree in 2013 at the Department of History in the University of Warsaw, Poland. Her dissertation focused on the role that photographic reproductions played in emancipation of art history as independent academic discipline in early 19th century. One chapter is devoted to relation of early photography and colonial heritage. The dissertation that is now being prepared for publication was awarded with the Szczęsny Dettloff Prize by Art Historians Association in Poland. Since 2005 a member of faculty in Institute for Art History, University of Warsaw, and since 2015 Directors’ Representative for Research in Museum of Warsaw. She was visiting fellow in number of international institutions including Lieven Gevaert Reseach Centre for Photography at Katholieke Universiteit Leuven, Kunsthistorisches Instiut in Florenz- Max- Planck- Institut, Staatliche Museen zu Berlin, Ruskin Library at Lancaster University, Henry Moore Institute in Leeds. In the frame of ECHOES project is interested in Central-Eastern European perspectives of colonial heritage, especially with connection to the museum practices. Things in a museum, in: „Things of Warsaw”, Warsaw 2017. Henry N. Cobb: Barwy ruin, 1947/Henry N. Cobb: The Colors of Ruins, w: „Ruiny Warszawy. Fotografie z lat 1915-2016/ Ruins of Warsaw. Photographs 1915-2016”, ed. Łukasz Gorczyca, Michał Kaczyński, Warsaw 2016. „Fotografie ruin. Ruiny fotografii. 1944-2014/ Photographs of ruins. Ruins of photographs. 1944- 2014”, Warsaw 2014.